What does Diveary do for you ? This is a detailed feature list, to show you what you get before you give away your precious email address to create an account. When logging your dive you have a bunch load of options! Log the species you have seen, with a massive selection of critters available to you. Upload your profile from your dive computer and get to see a pretty graph. Upload the pictures you took on that dive. Mention the dive shop and the dive shop's web site. Pick your dive location on a map. If we don't have it ? Add it ! Capture as many or as little details as you like, from Air in to Air out down to the color of your gloves. One of Diveary's target is to provide you guys with information about WHAT can be seen WHERE. So if you are looking for a hammerhead shark to sight or a special nudibranch to capture, Diveary can help. Due to the network created by Diveary and the data we can accumulate, the critter to be the next one to see can be found much easier. Check out the ":Our critters": section and find out where to find them most. Make Diving a bit more fun. Diveary will award you with certain achievements. 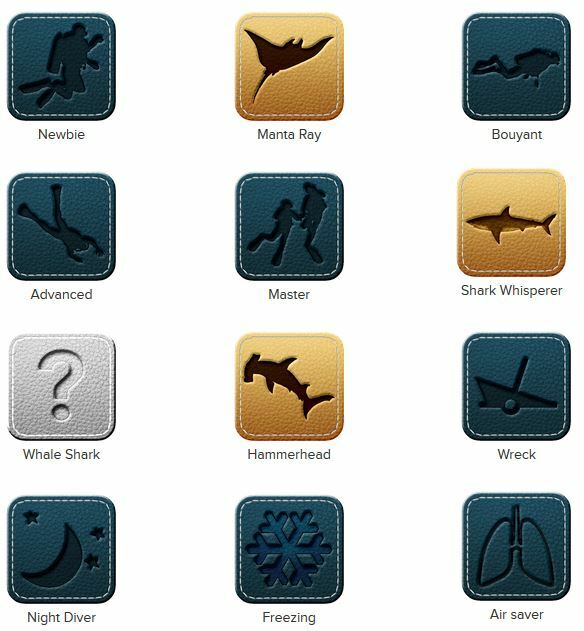 Not only you get Badges for a certain number of dives or species you have seen, you also will be able to be honest about your lost buddies and your air consumption. Diveary helps you keep in touch with the people you dived with. 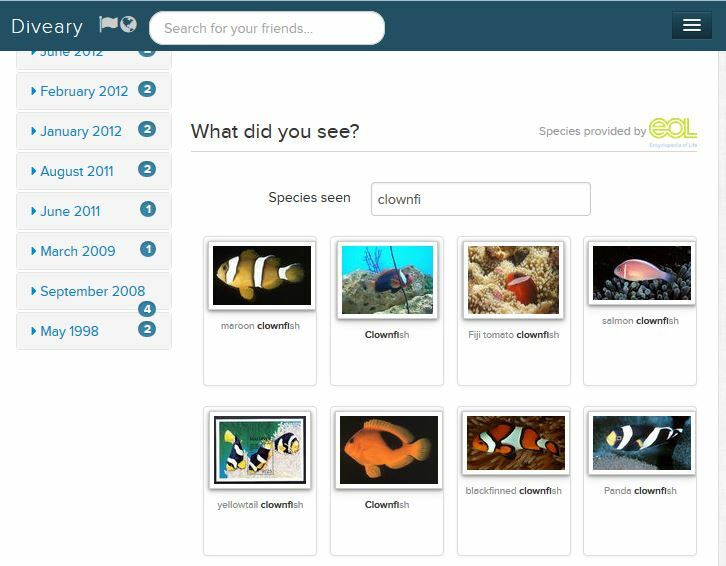 You will be able to browse through your friends' dives and proudly show them the result of your latest trip. Your home page will give you a feed about what's going on under water. Whether it's a dive site you definitely want to go to or a critter you have on your radar, with Diveary you can add all of them to your personal "dive site/critter wishlist" and tick them off once your dream came through. What does Diveary do for you as Scuba Diving Business ? Diveary gives you a completely free directory listing. Just sign up as a regular user and manage all your shop details. Regardless of whether you are a scuba gear provider, under water photography merchant or a full on -hardly ever available on shore - scuba dive business. Your shop will be listed on Diveary's directory with information which you can manage yourself. We combine your shop data and your link to your home page with user provided dive log data. Not only will scuba divers find you in our network, but so will Mr Google and Mr Bing ! Which means more traffic being driven to your business. Is your shop already registered with us ? No problem you can simply claim your business and keep all the information we already have about you including the dives logged with your business. Got a keen Divemaster logging dives away? Make sure he or she becomes an official staff member on Diveary.